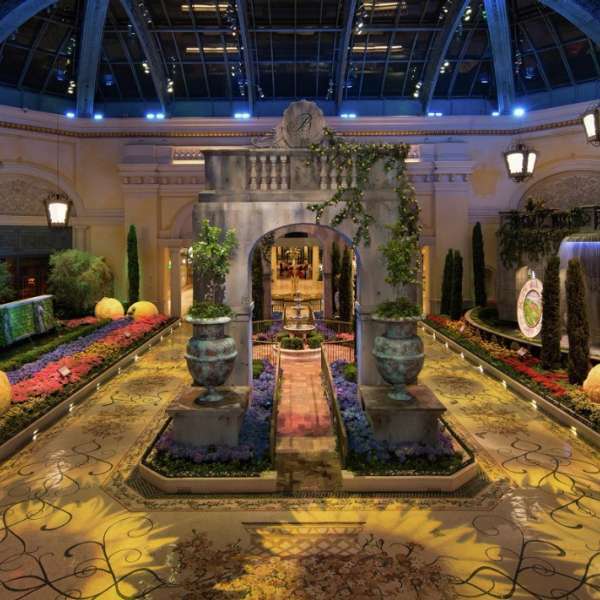 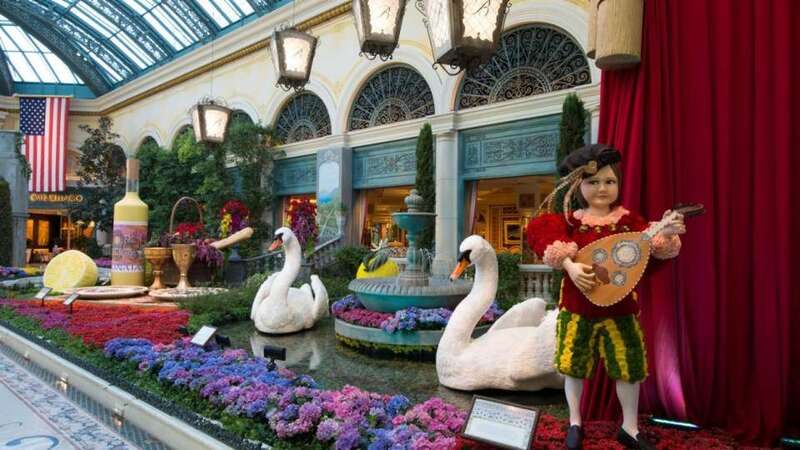 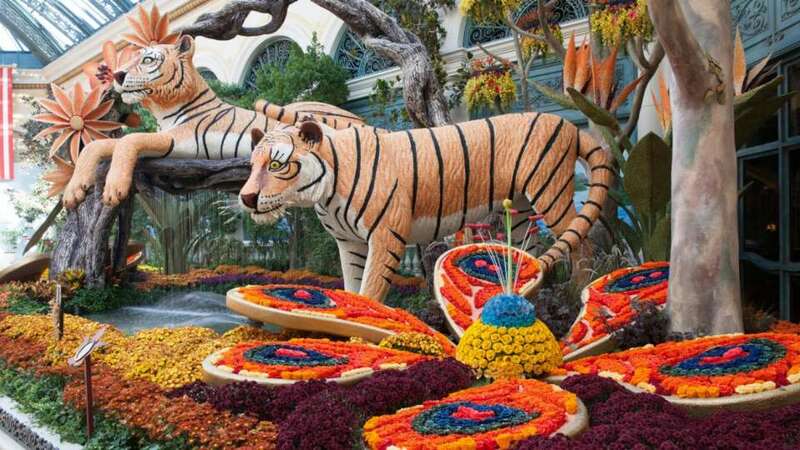 The Conservatory & Botanical Gardens’ pathways lead to MICHAEL MINA Bellagio, a wonderful gourmet seafood restaurant; Giardini Garden Store, a shop displaying garden-oriented gifts, fountains and decorative items for the home; Spa & Salon Bellagio; and Via Fiore (“flower way”), the promenade which leads to the Spa Tower. 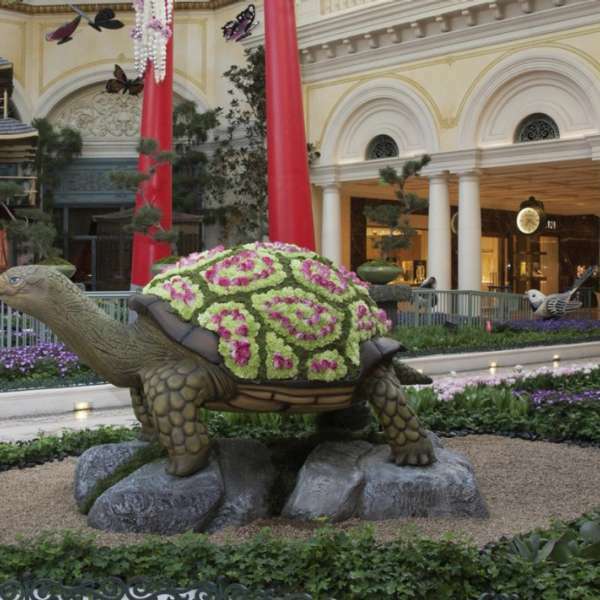 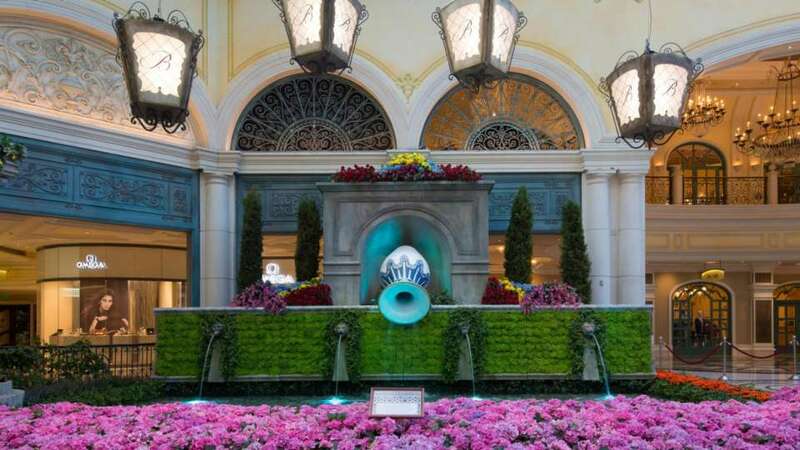 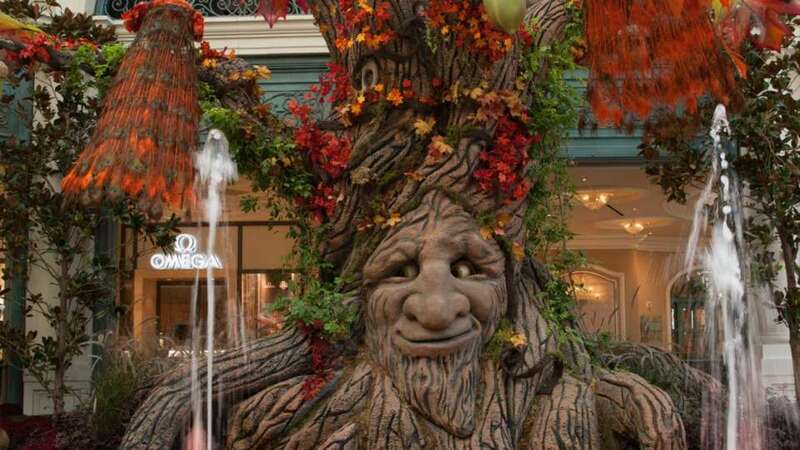 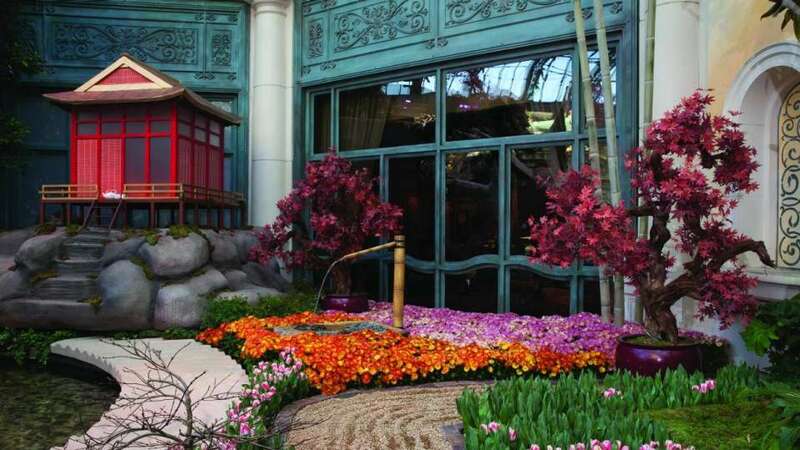 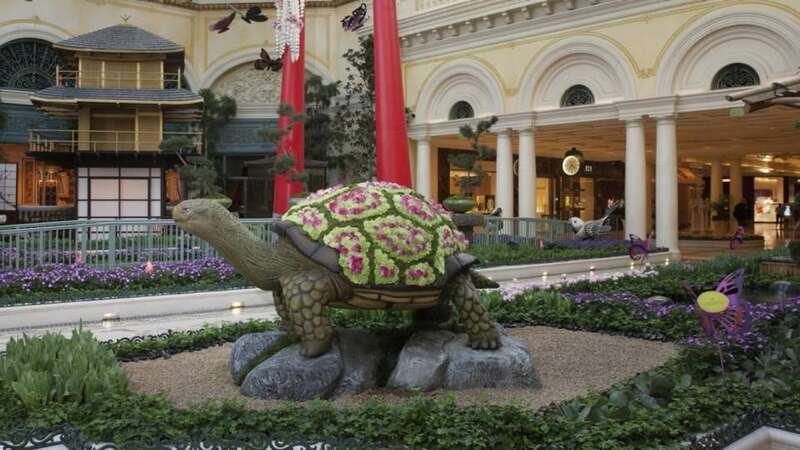 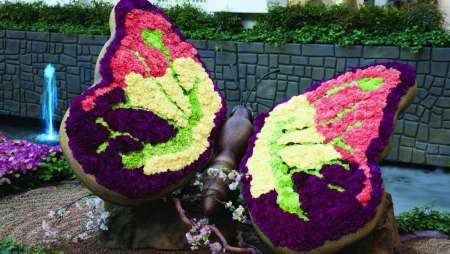 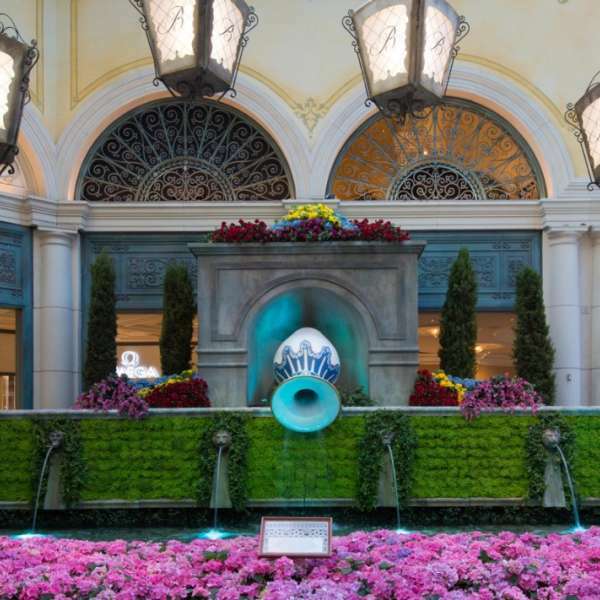 A horticulture staff of 120 maintains the Botanical Gardens and the entire grounds of Bellagio. 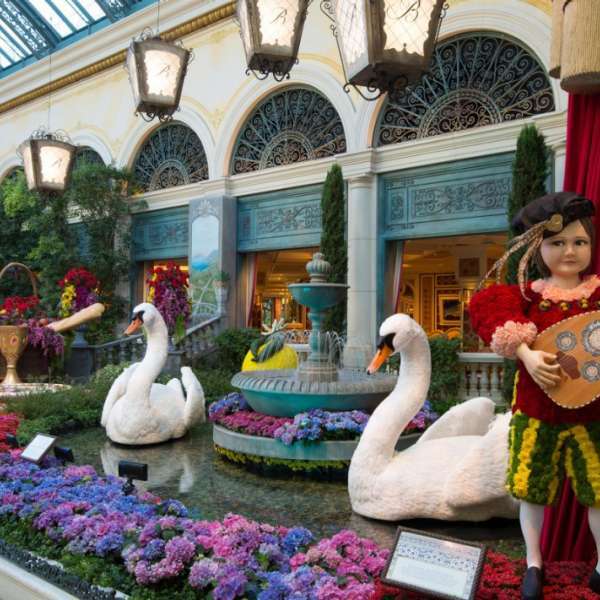 The staff has the ability to achieve seasonal designs by selecting flowers that complement the trees, gazebos, bridges and ponds,and can add or remove water features to enhance the seasonal effect. 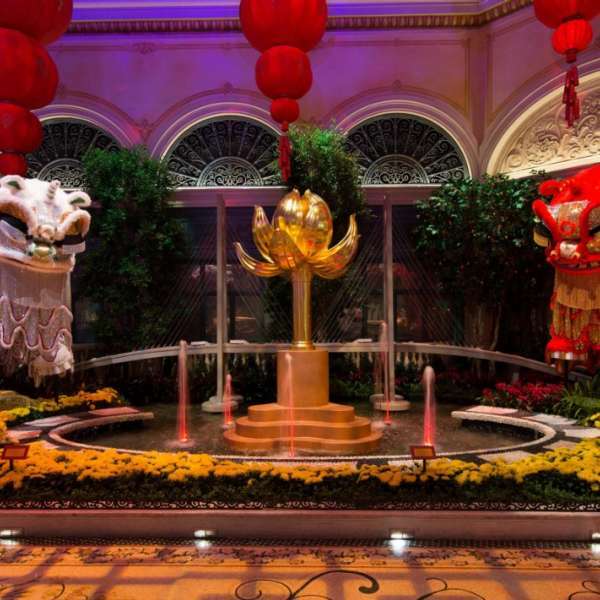 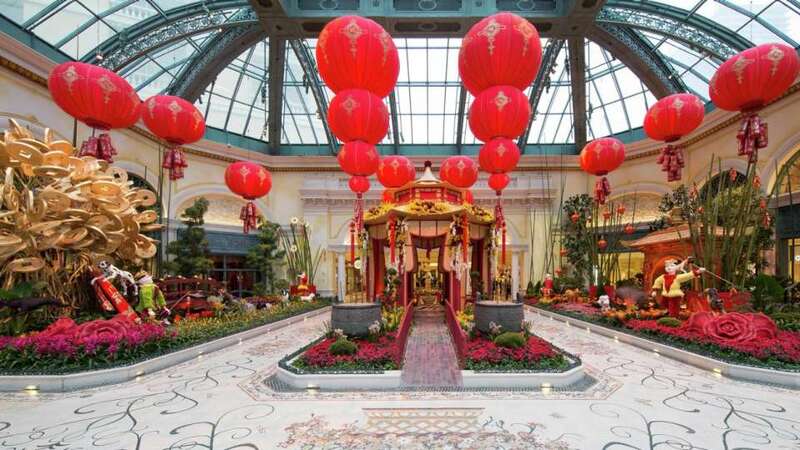 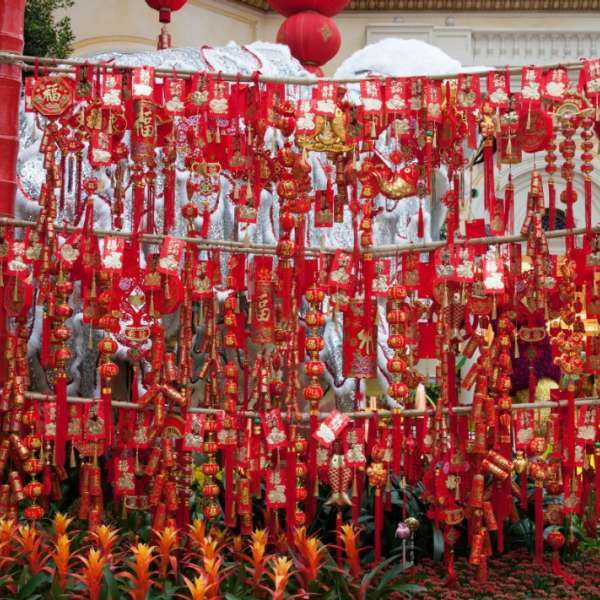 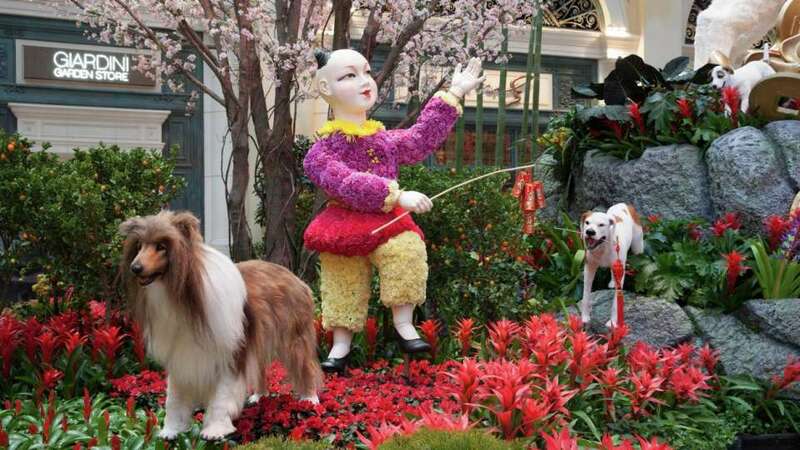 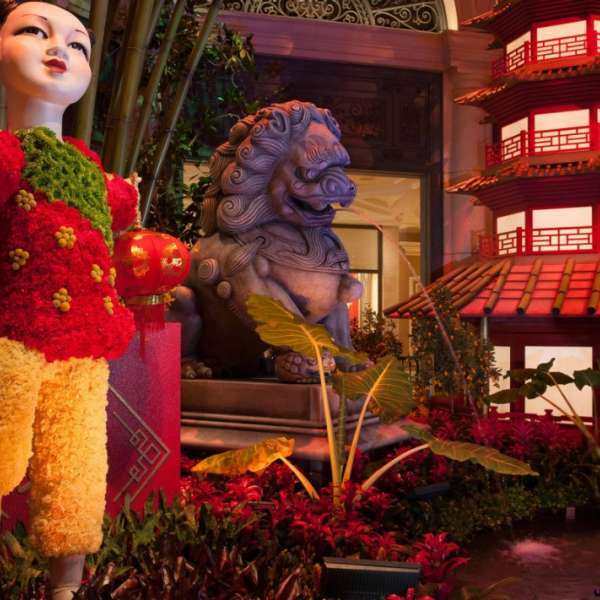 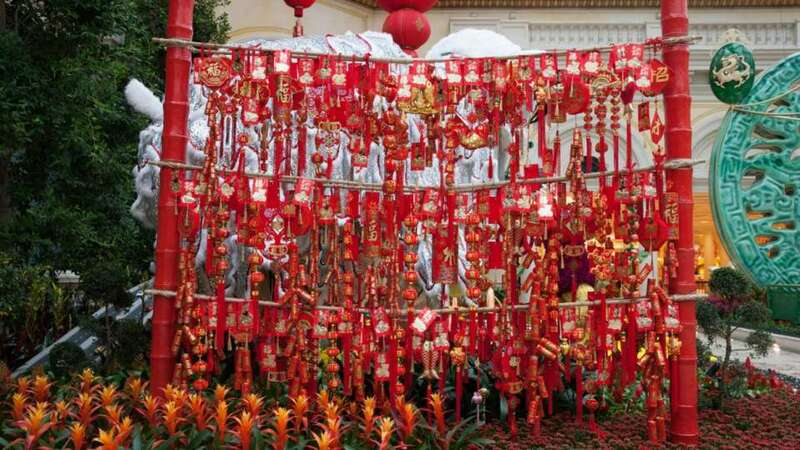 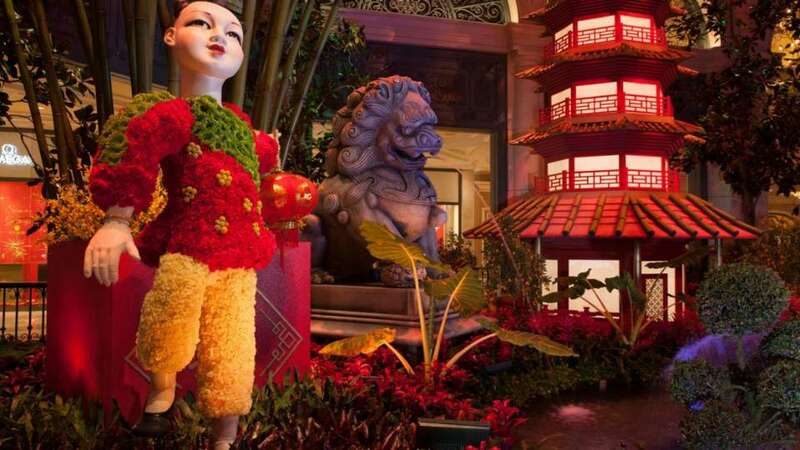 The Conservatory season starts with Chinese New Year and features traditional designs of the celebration. 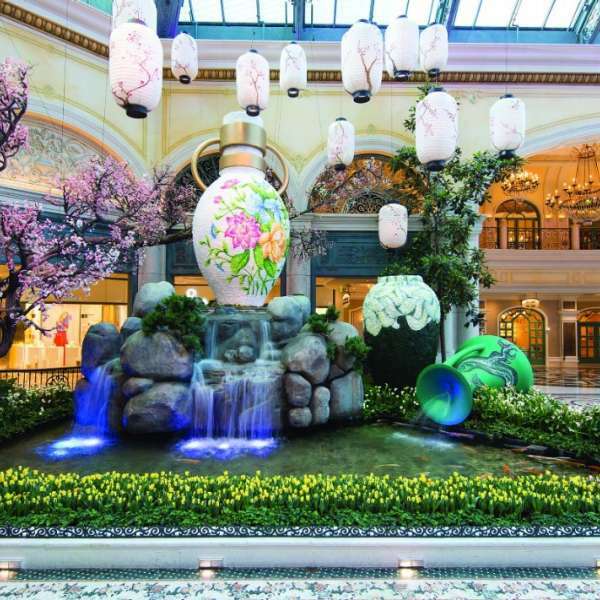 Spring brings cherry blossoms, while the summer offers flora equally as fragrant. 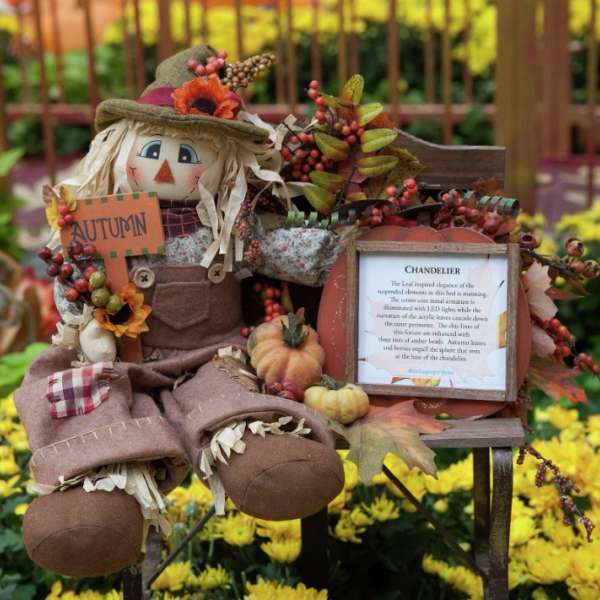 Orange and yellow, brown and gold are used to match the fall foliage. 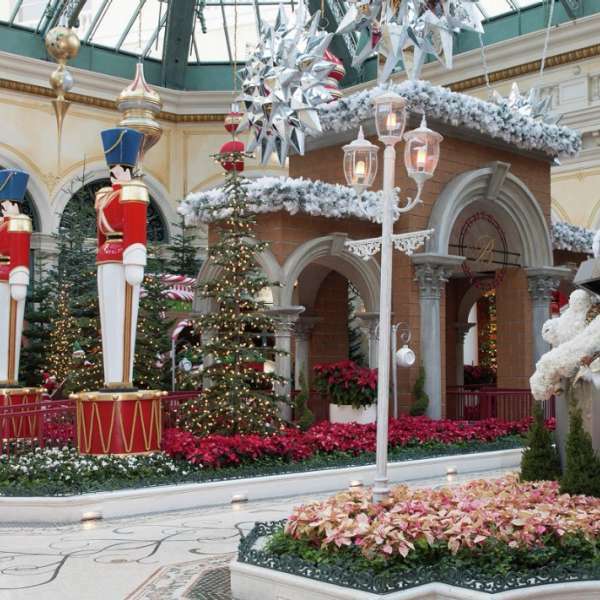 Following Thanksgiving weekend, the gardens are transformed for the Christmas season. 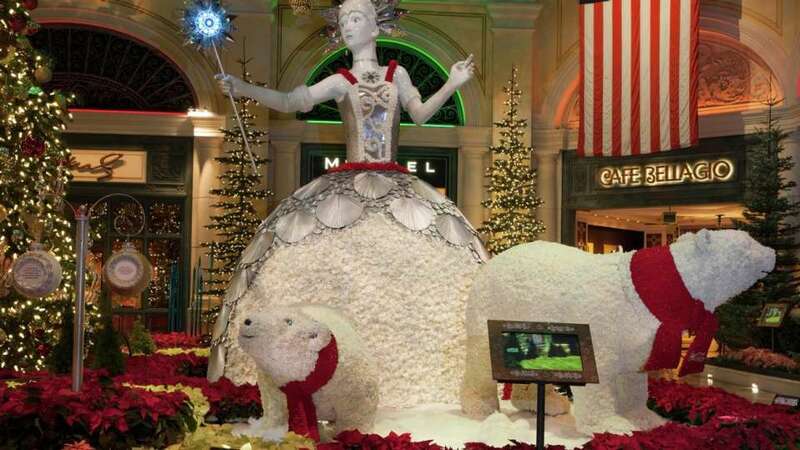 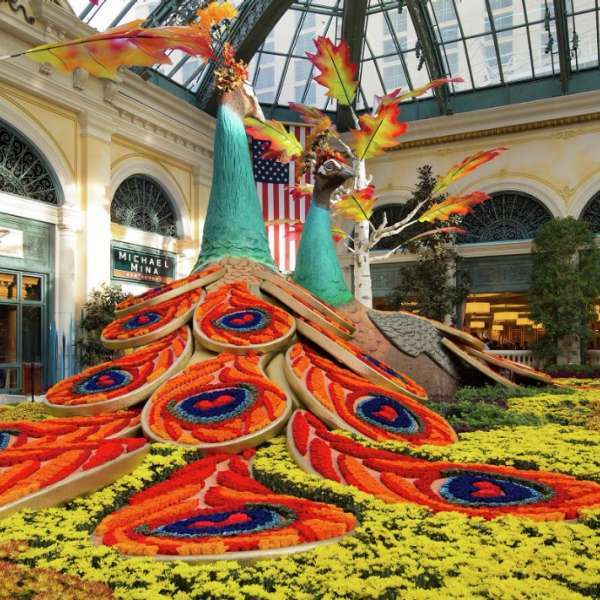 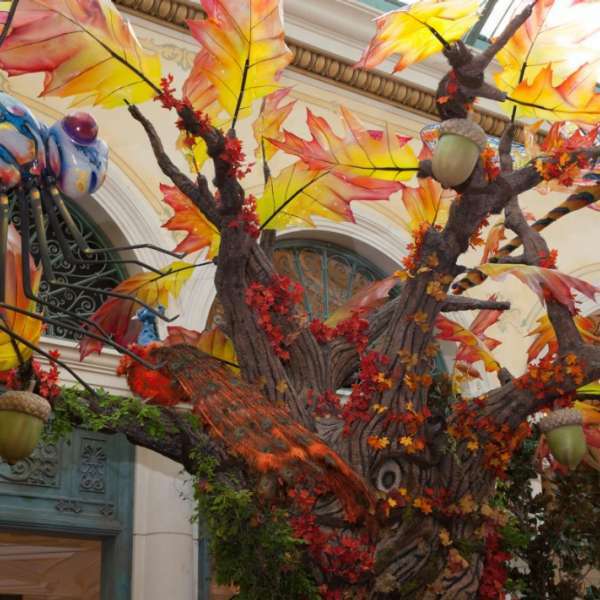 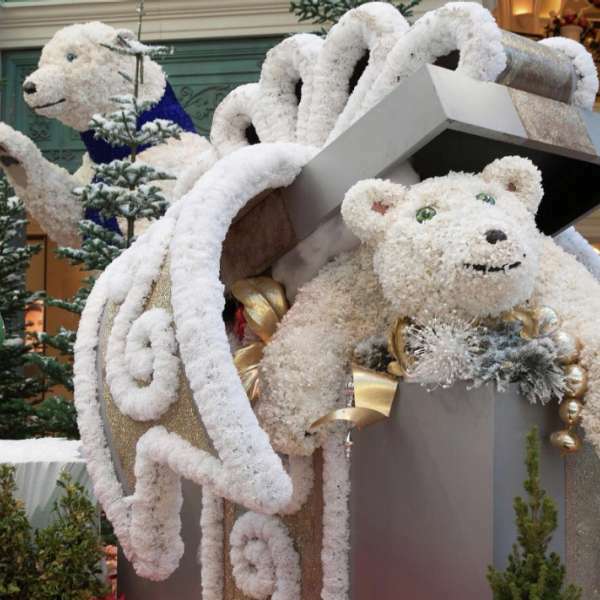 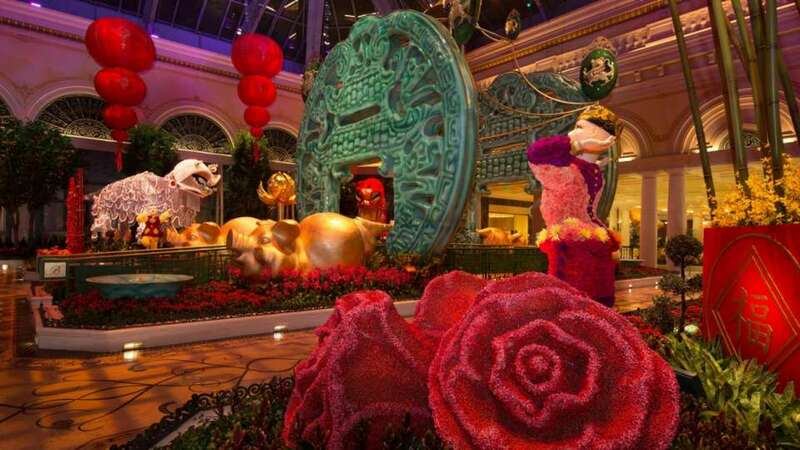 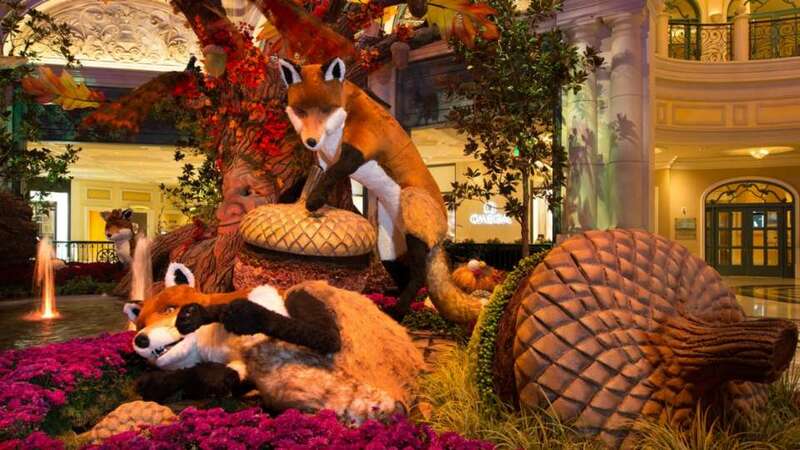 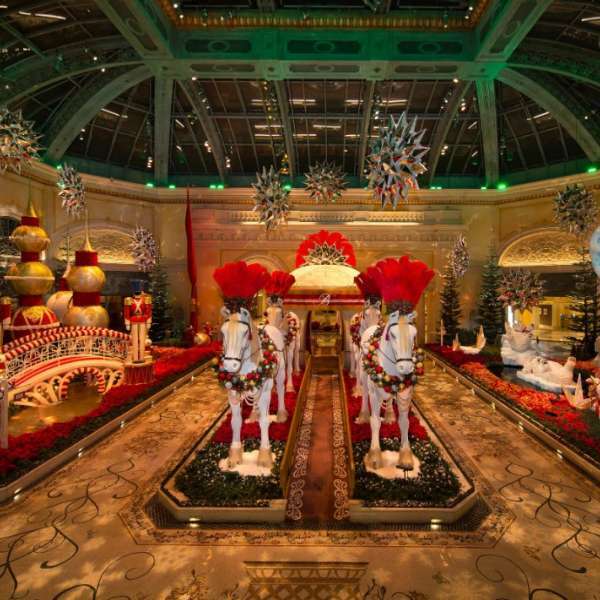 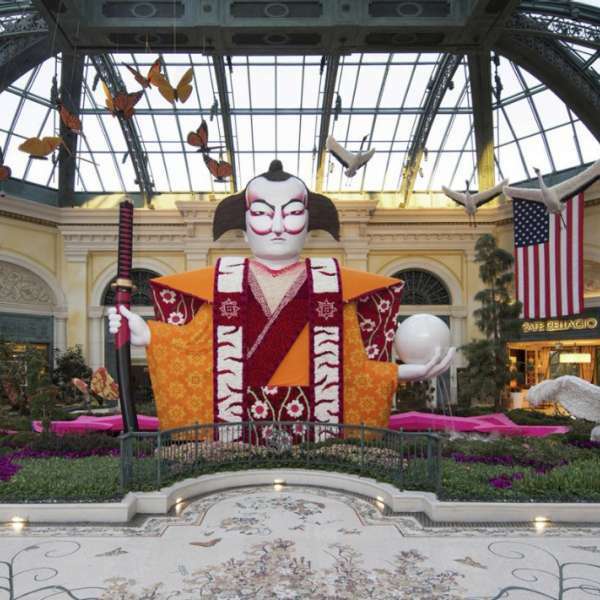 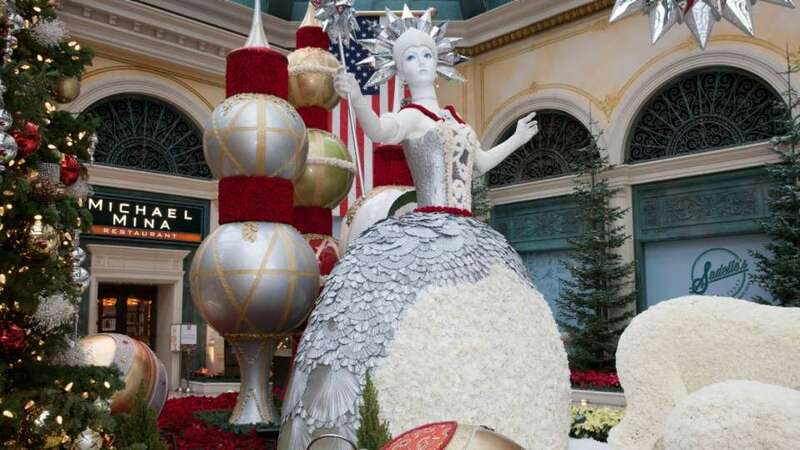 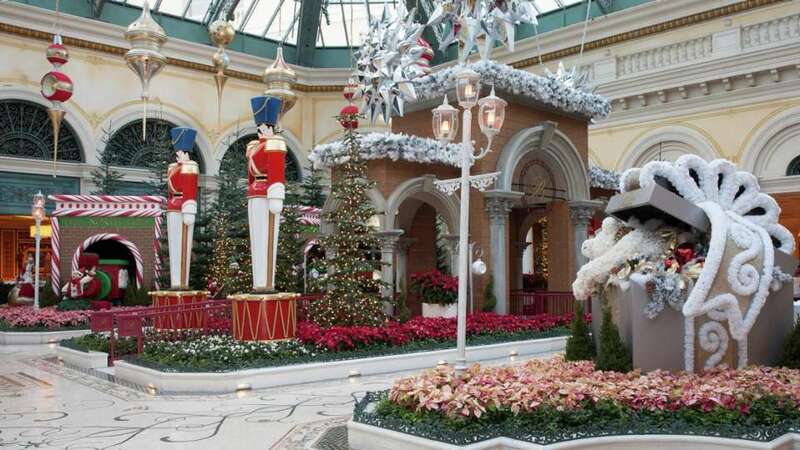 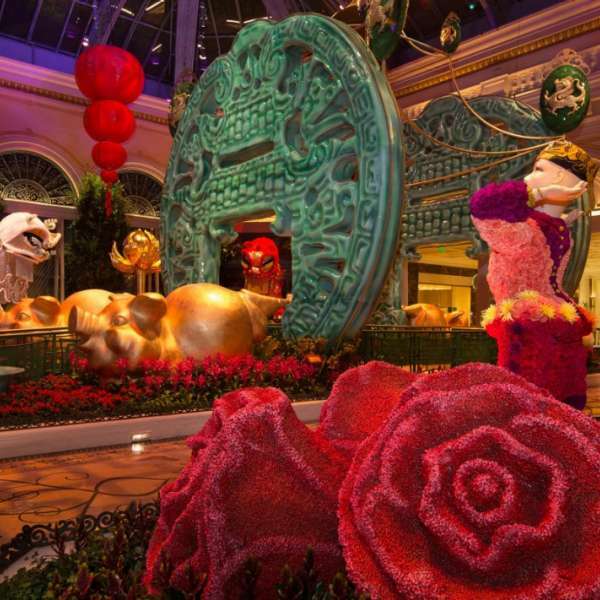 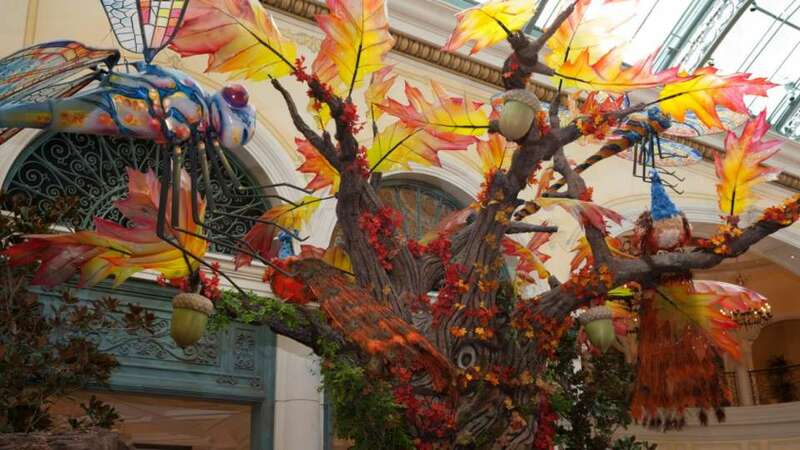 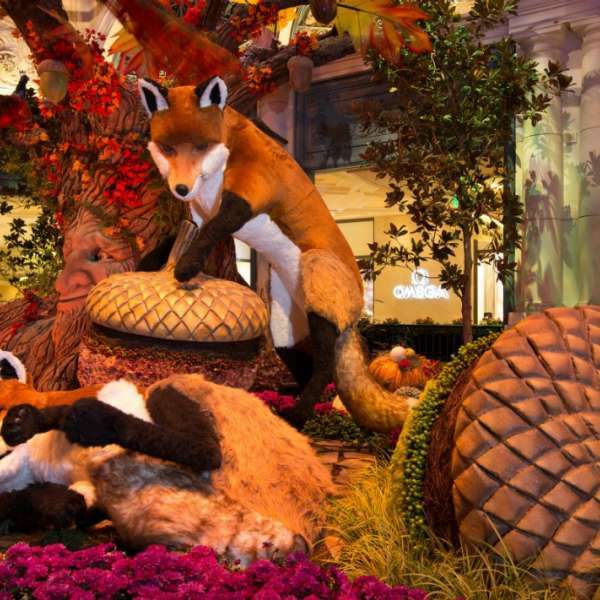 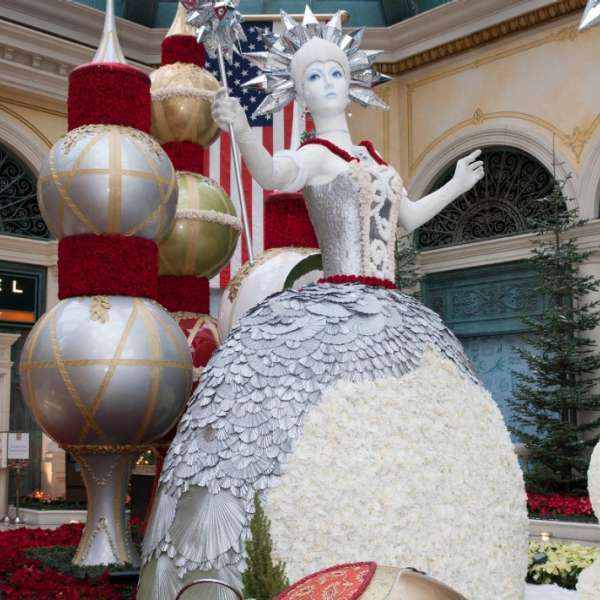 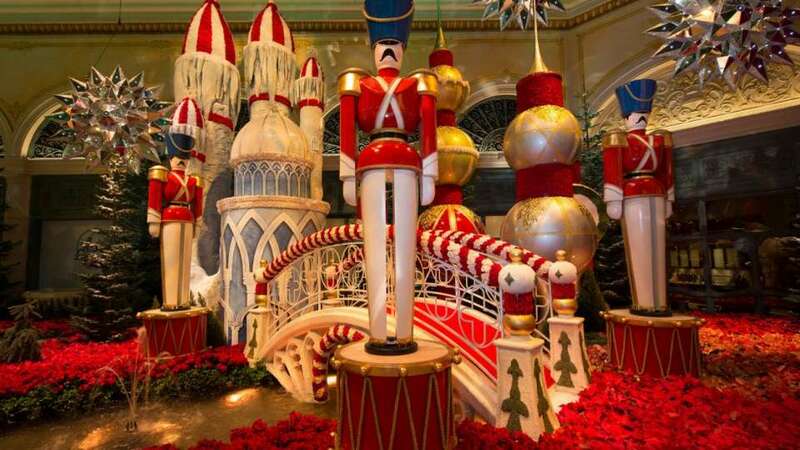 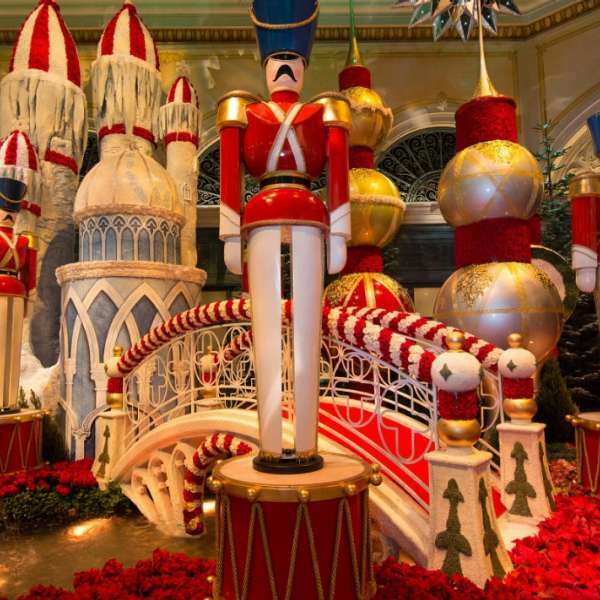 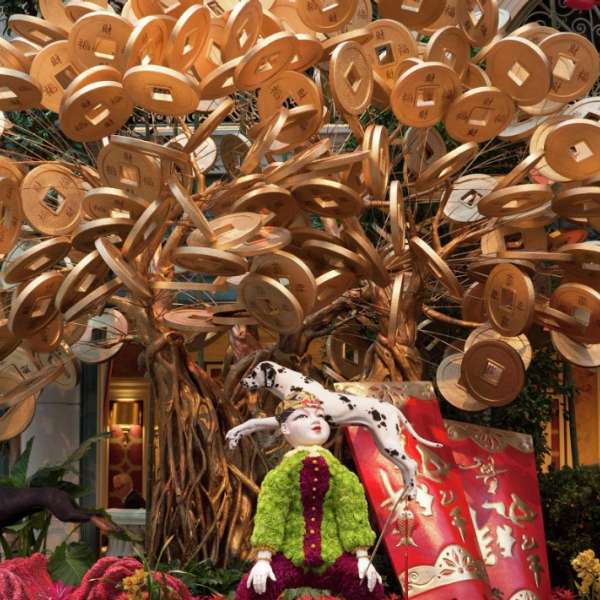 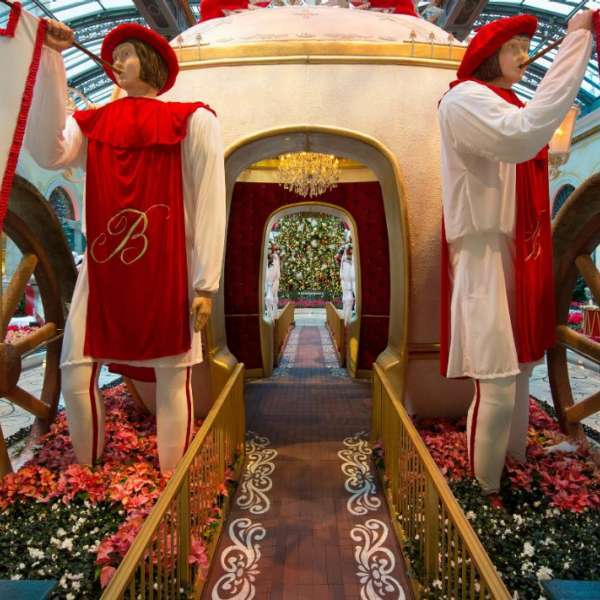 Bellagio’s holiday display is one of extraordinary beauty. 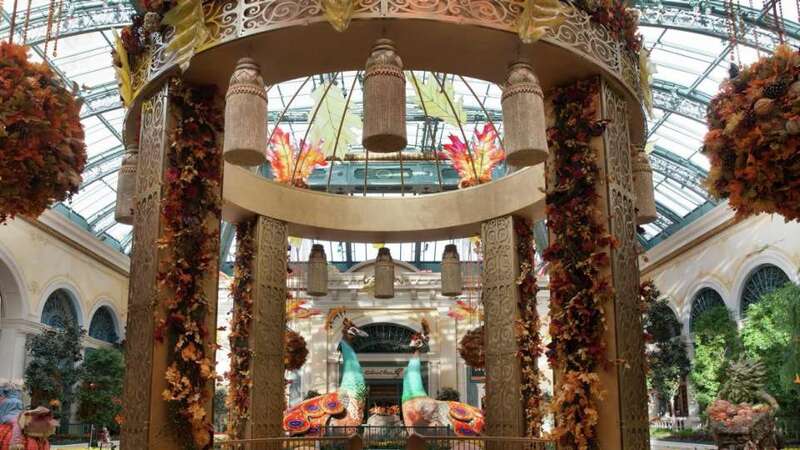 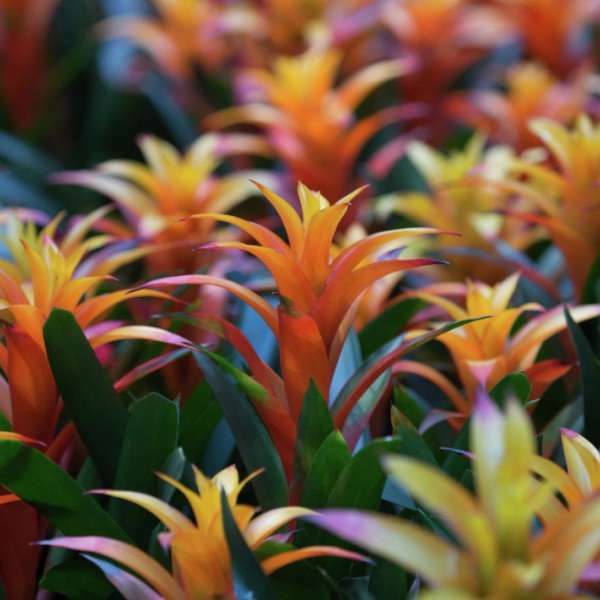 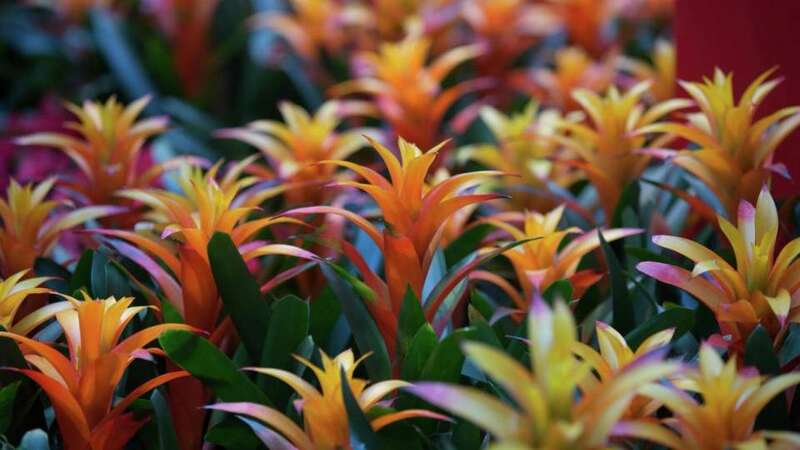 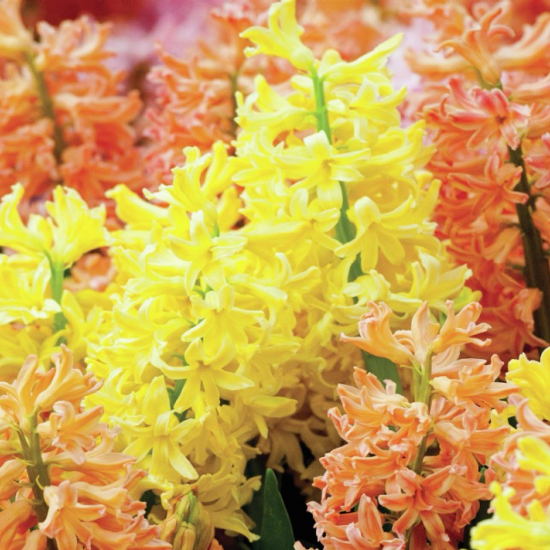 The wonderful fragrances and magnificent colors of the seasons take over the entire arrival experience. 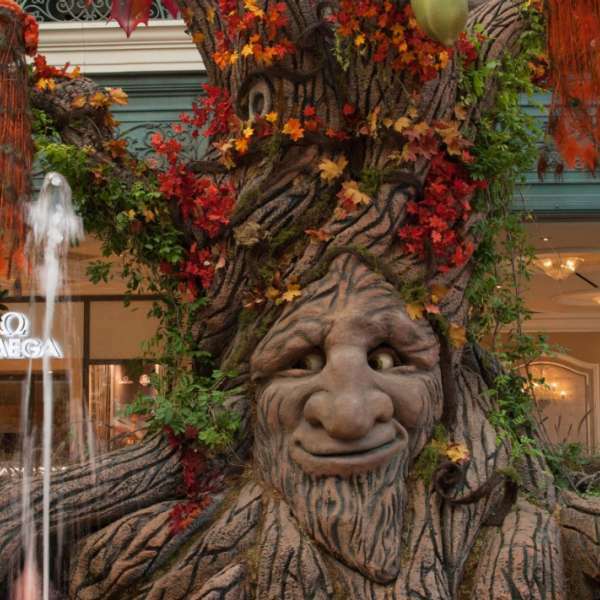 This ever-changing natural display is the single most significant component of Bellagio’s design, fulfilling the promise of creating the most extraordinary hotel in the world. 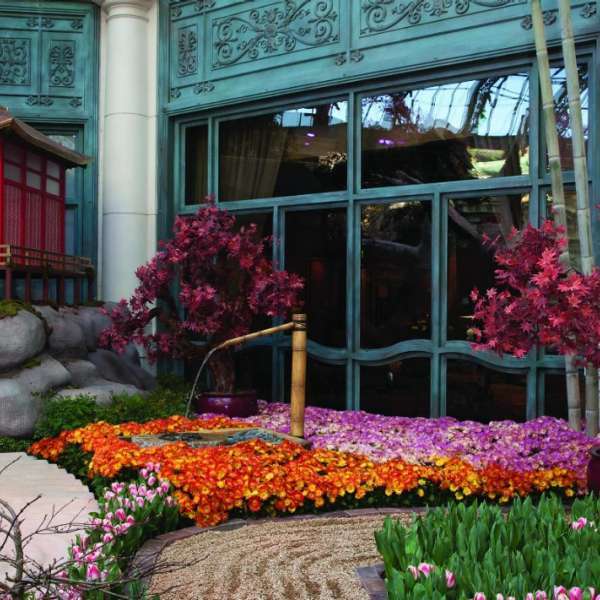 The West bed of Japanese Spring at the Conservatory at Bellagio. 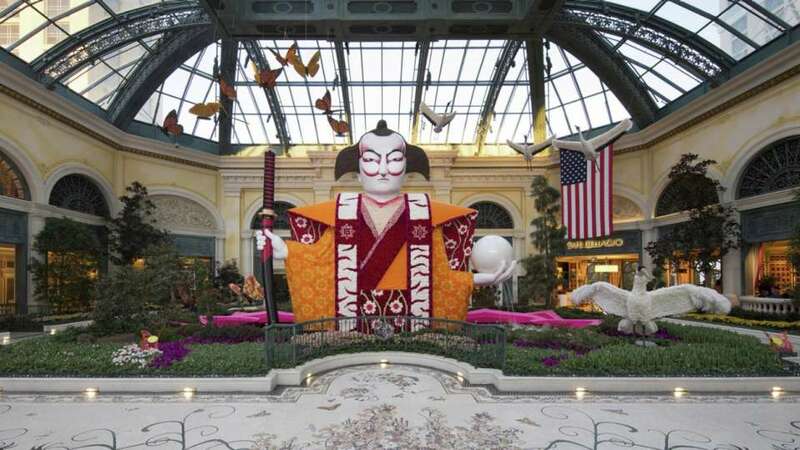 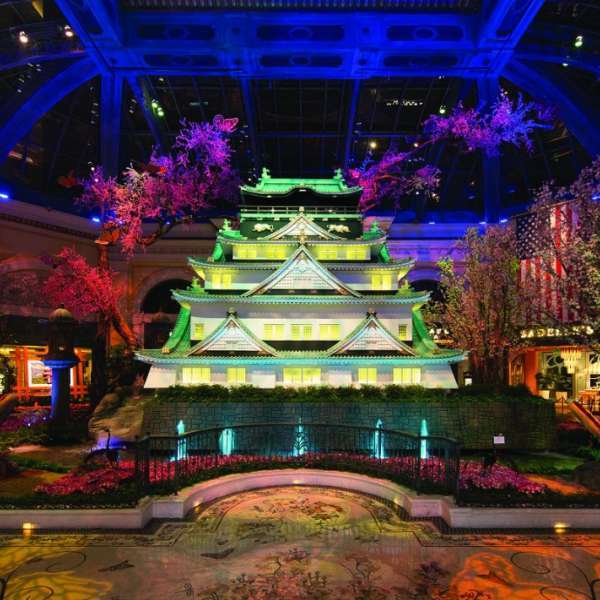 Osaka castle in Japanese Spring at the Conservatory at Bellagio. 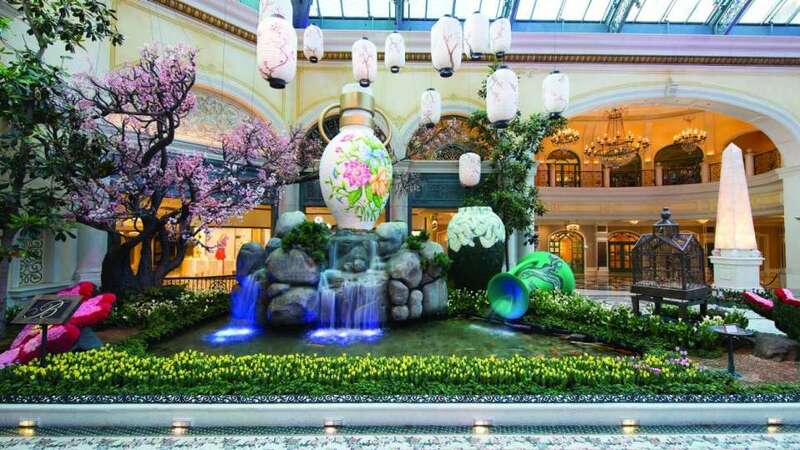 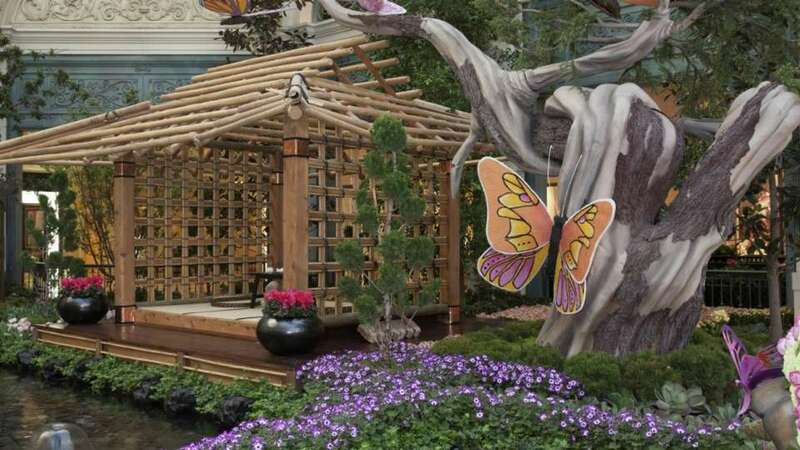 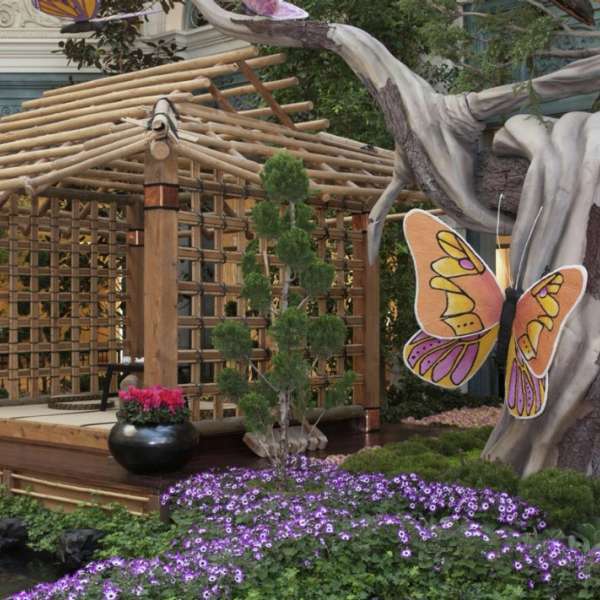 Japanese tea house in Japanese Spring at the Conservatory at Bellagio. 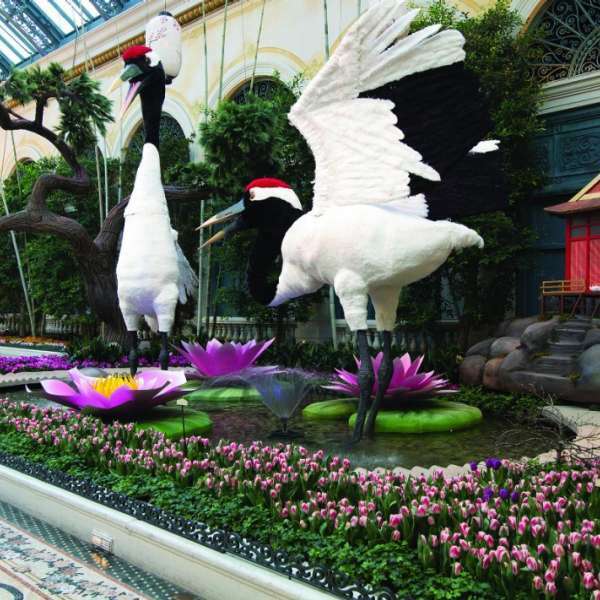 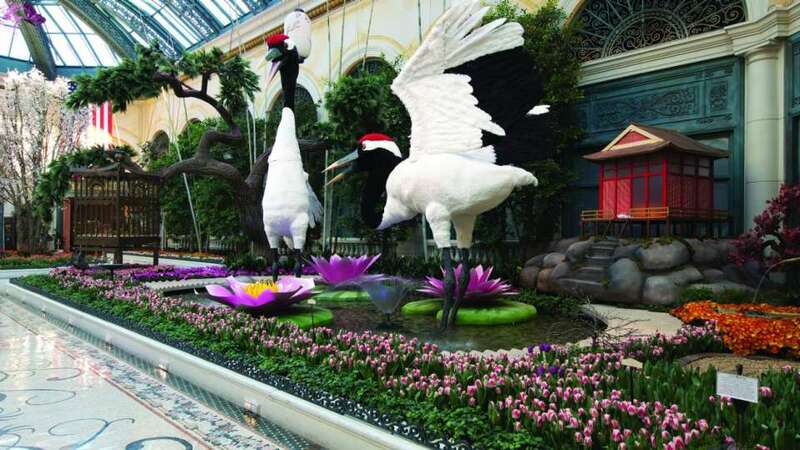 Cranes in Japanese Spring at the Conservatory at Bellagio. 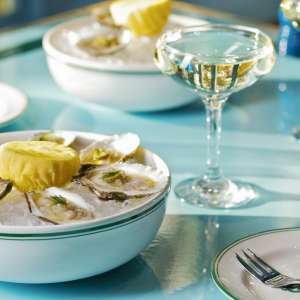 Award-winning Chef Michael Mina’s eponymous restaurant features transcontinental twists on contemporary classics. 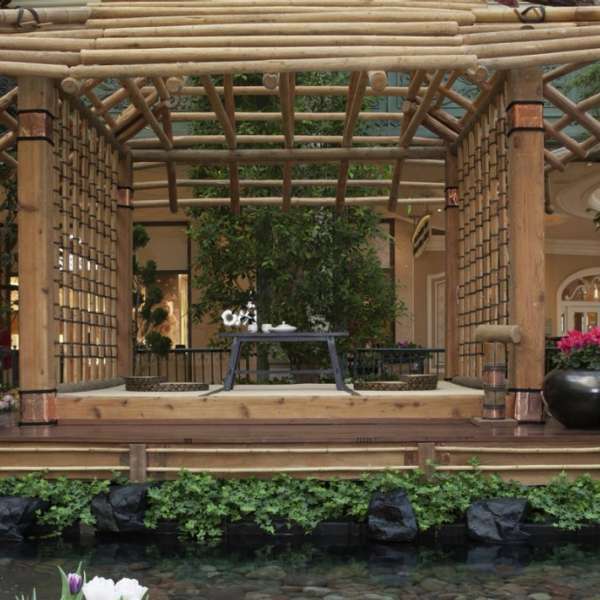 Luxurious spa & salon treatments as well as invigorating fitness classes. 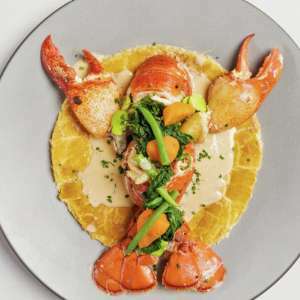 A better version of your favorite meal. 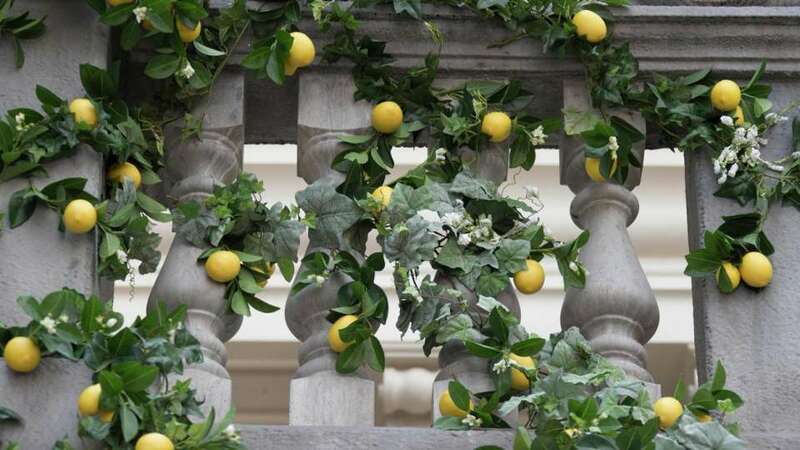 This is a picture of Queen Bellisima during the day. 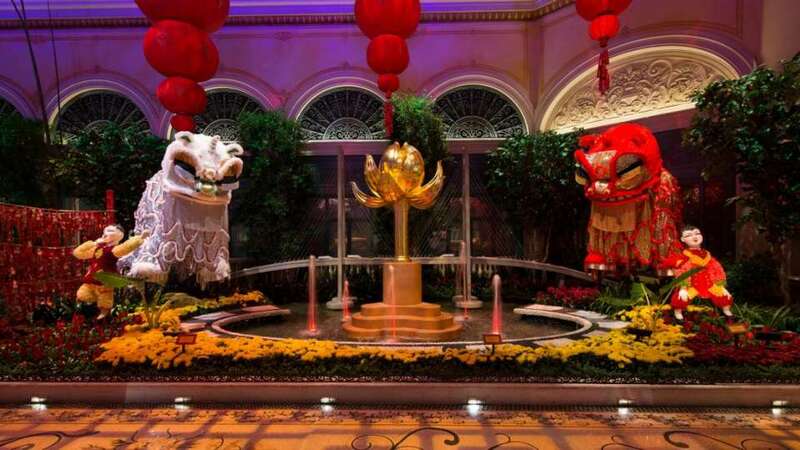 This is a picture of the North, East and South bed during the night. 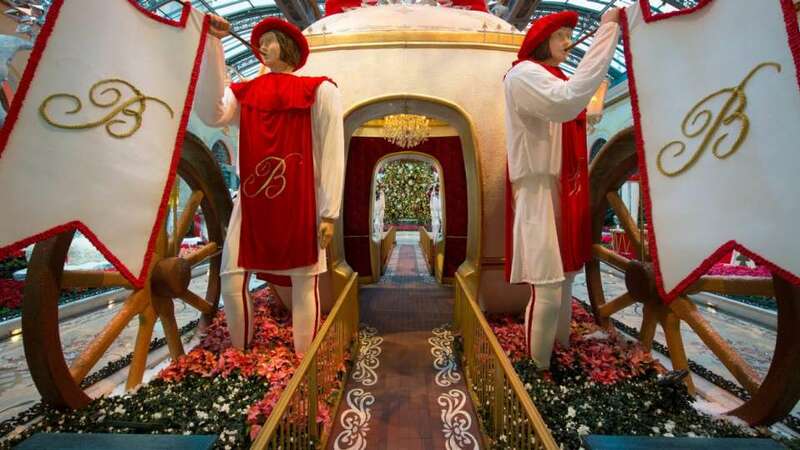 This is a picture of the East Bed carriage during the day. 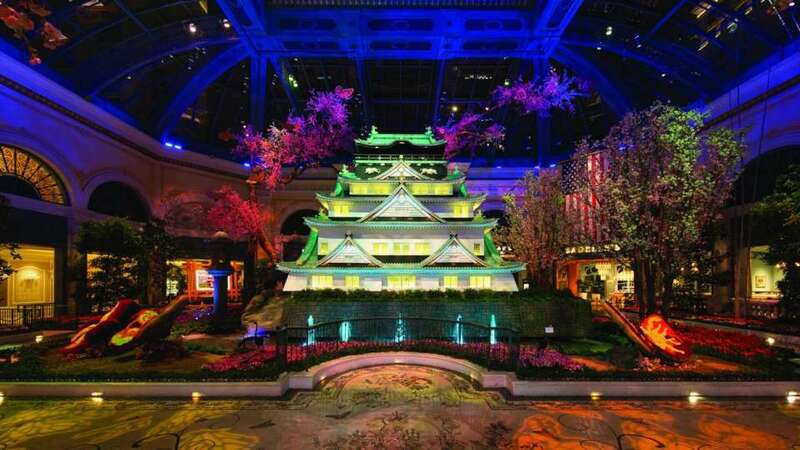 This is a picture of the castle during the night. 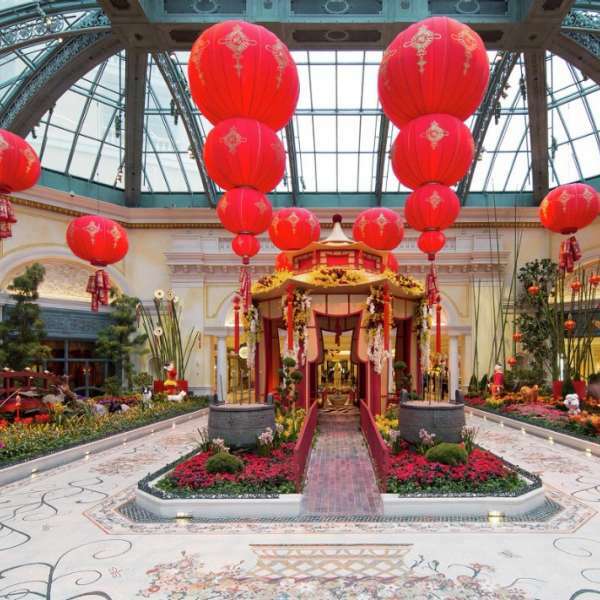 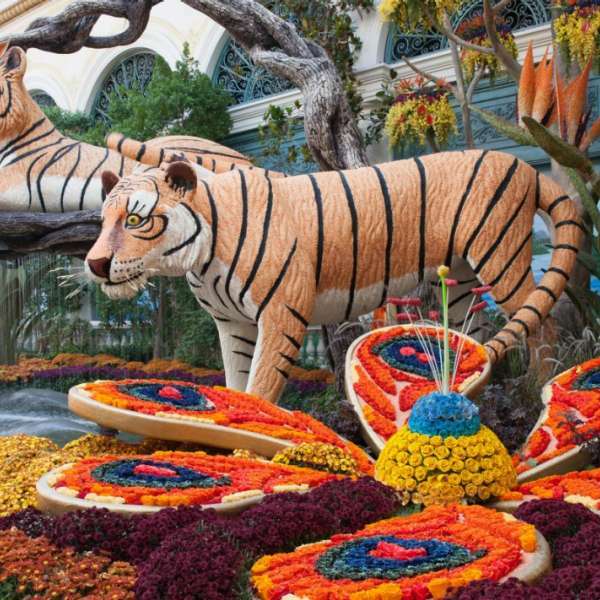 Chinese New Year 2018 is now live in the Bellagio Conservatory featuring colorful plants. 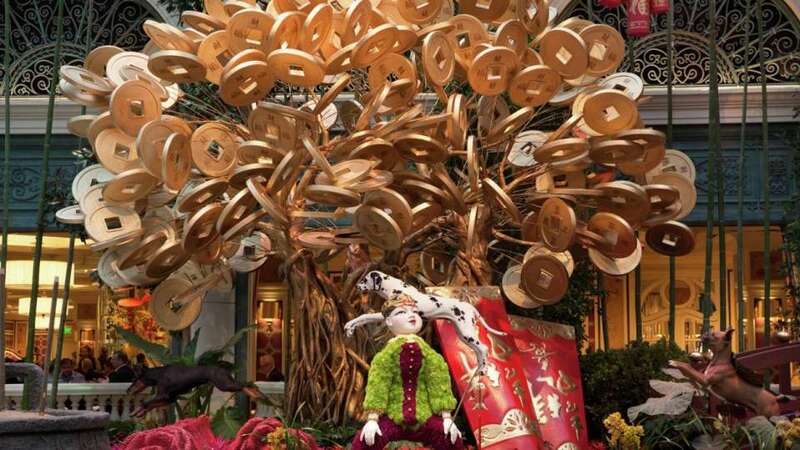 Chinese New Year 2018 features the coin tree with dogs. 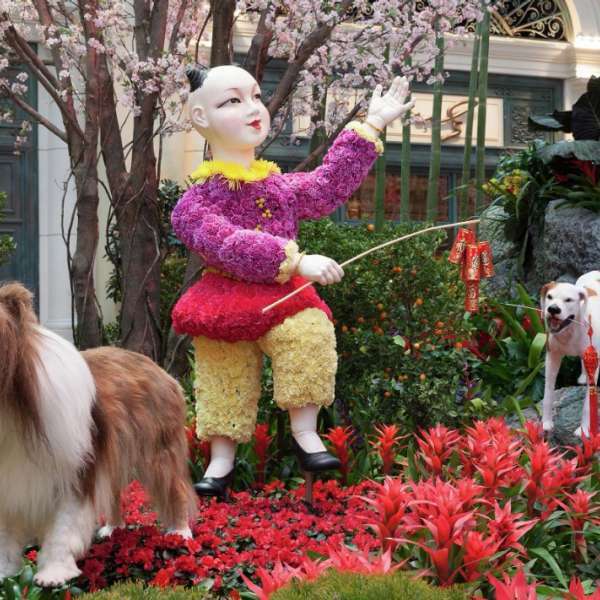 Chinese New Year 2018 features a beautiful walkthrough highlighting Year of the Dog. 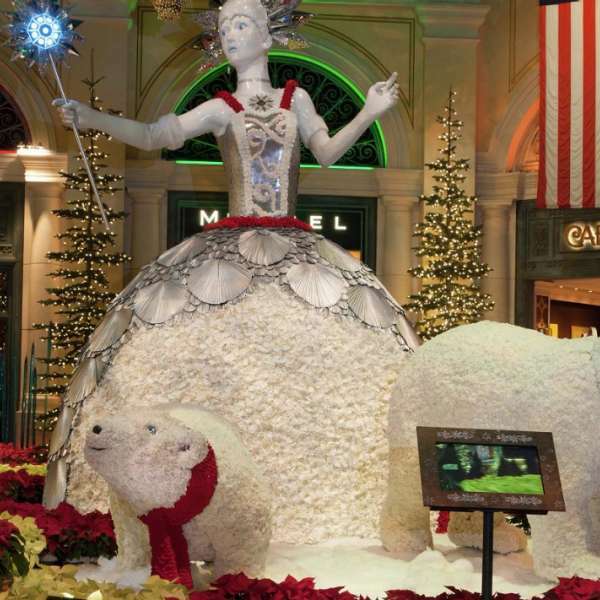 Ice Princess at Night in the Conservatory. 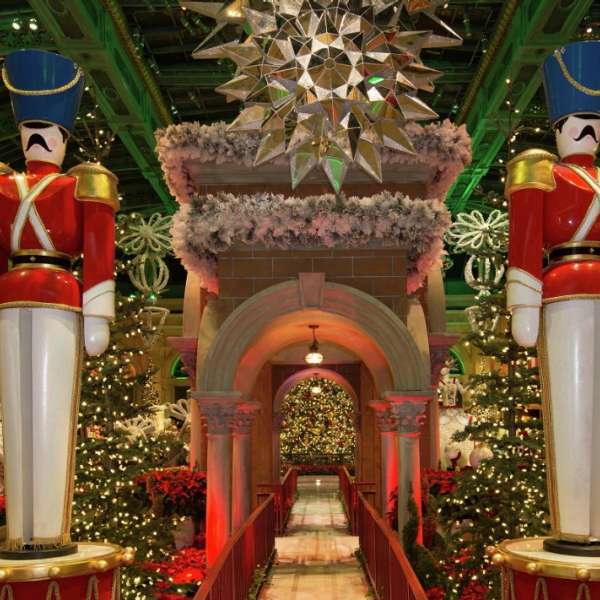 Christmas Soldiers entry way to the Conservatory. 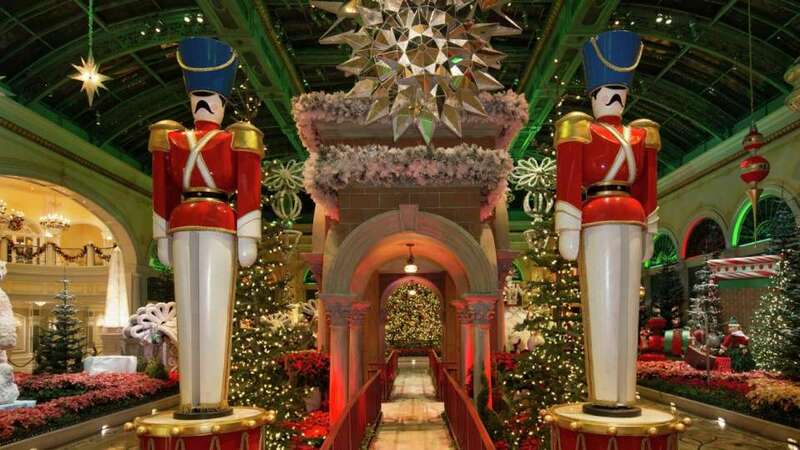 Christmas Soldiers in the Winter Conservatory. 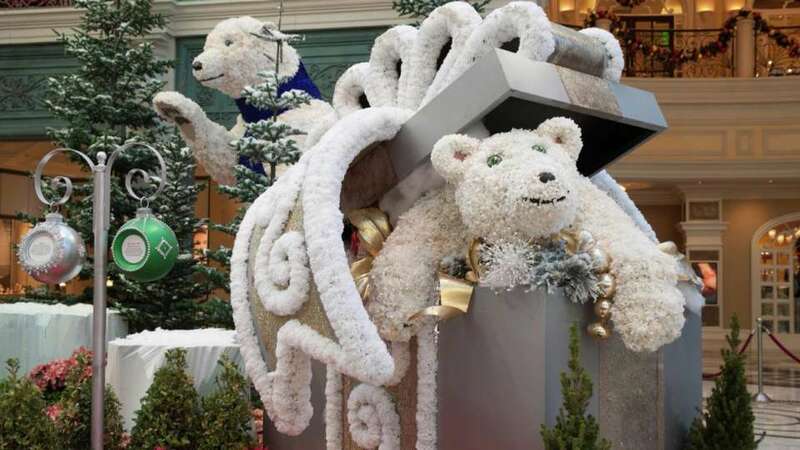 Polar Bear playing in a Holiday Box. 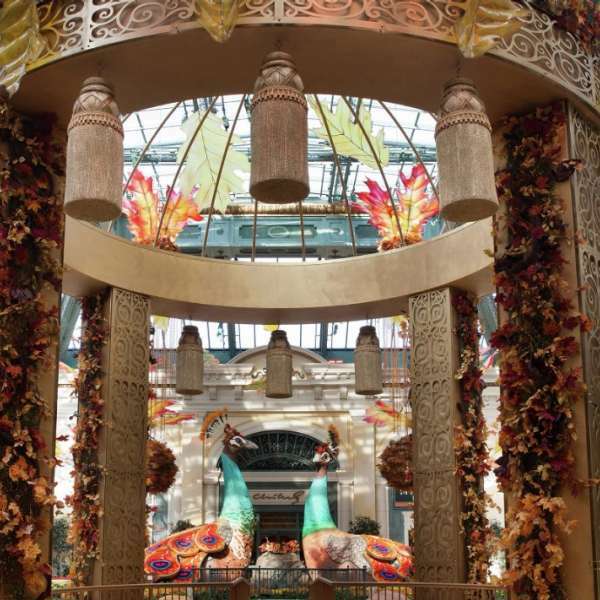 Autumn colors surround you as you enter the Fall Conservatory. 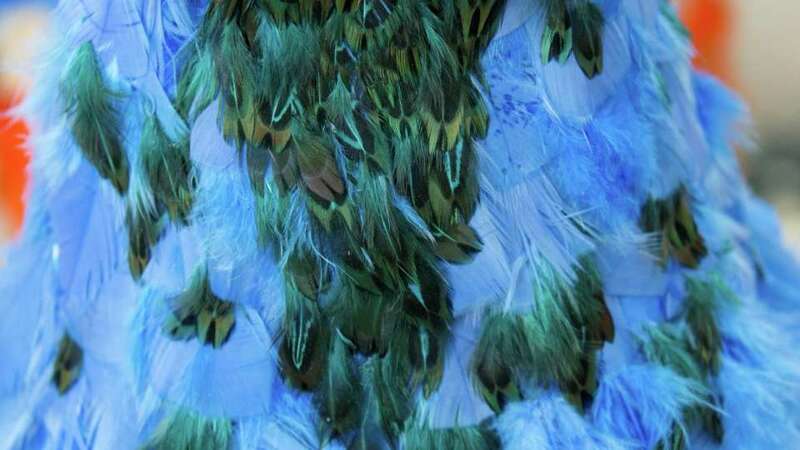 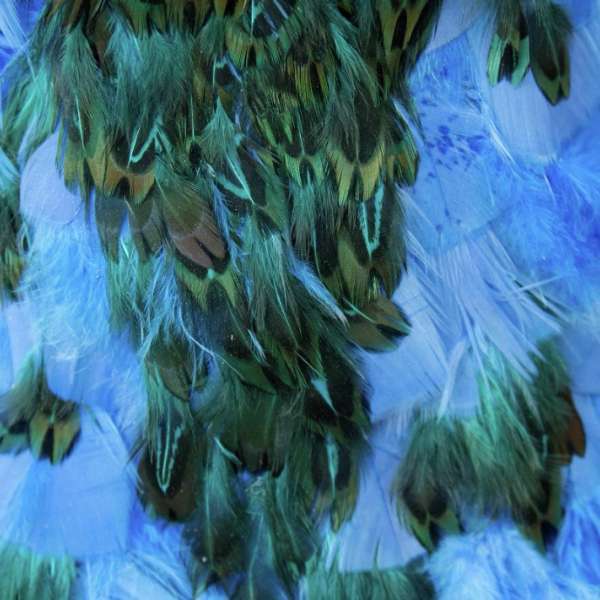 A close up of the bright blue peacock feathers. 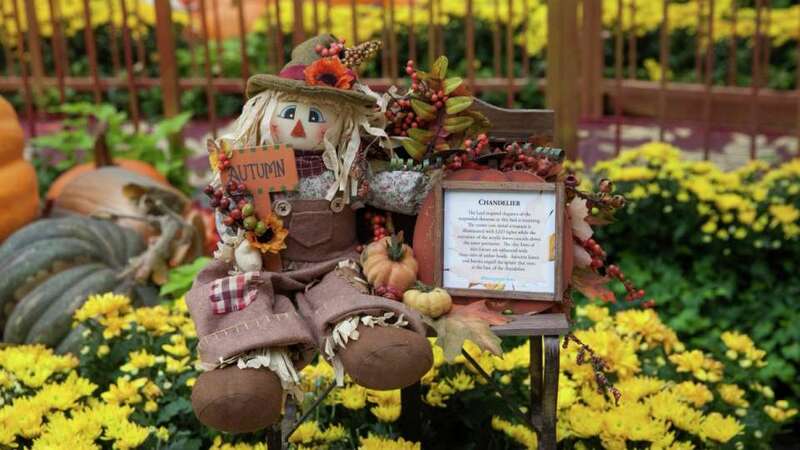 See the 2017 Fall Conservatory where the smell of pumpkin spice overtakes your senses. 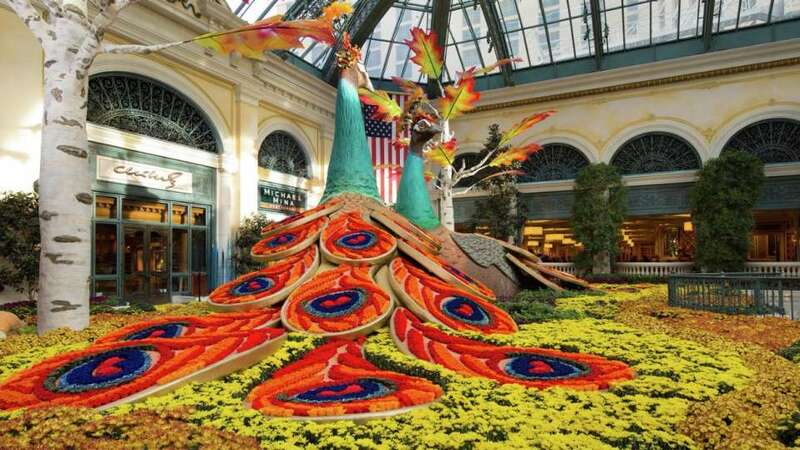 Bright and colorful side view of the Peacocks for the Fall Conservatory. 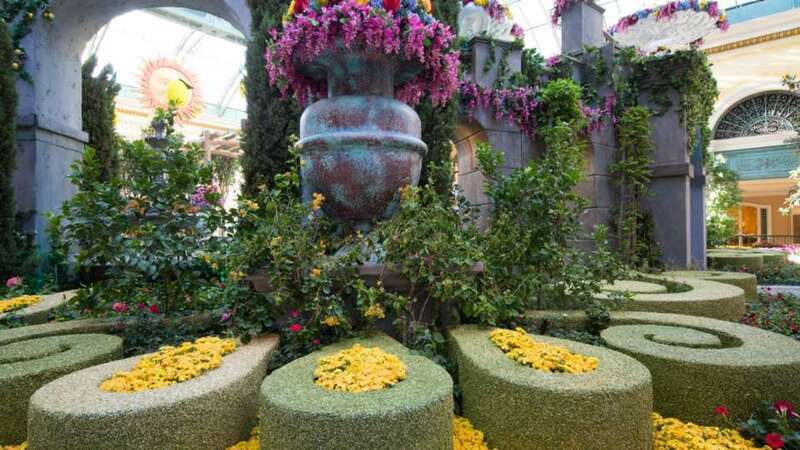 Tour of Italy Sunflower Floor inside Bellagio Conservatory. 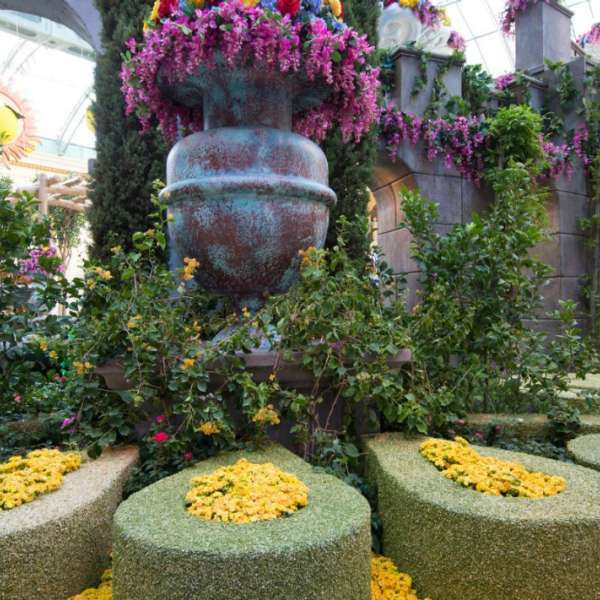 Tour of Italy Lemon Vine Wall inside Bellagio Conservatory. 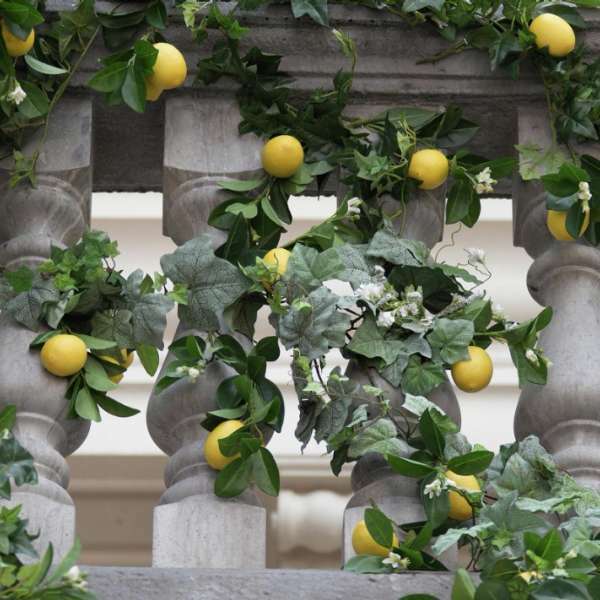 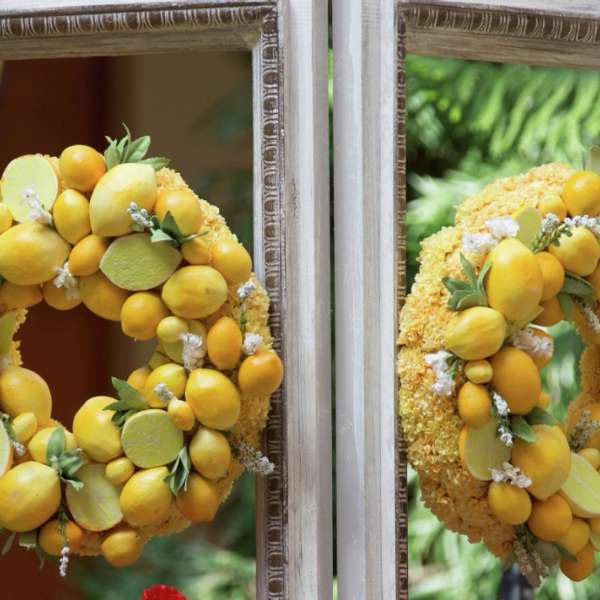 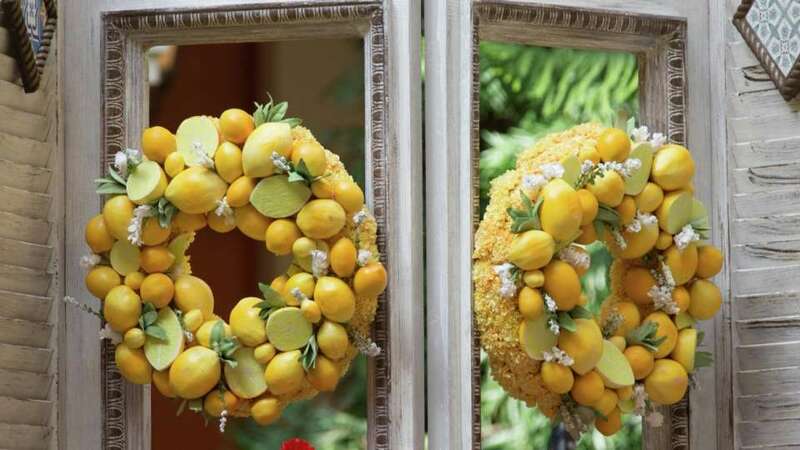 Tour of Italy Lemon Wreaths at the Bellagio Conservatory. 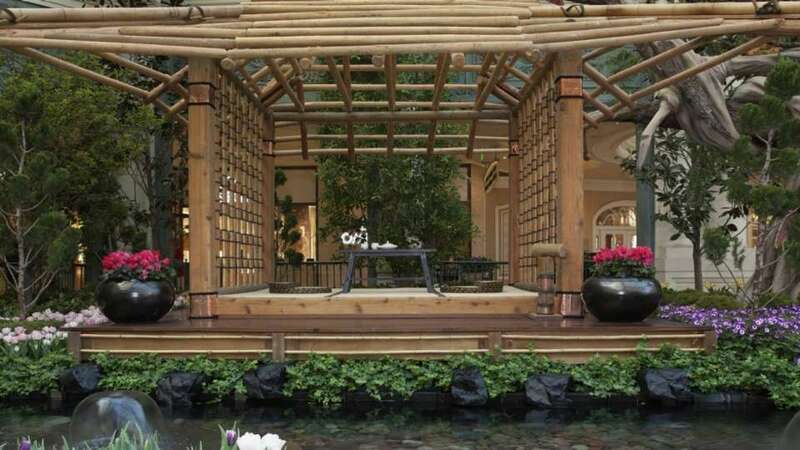 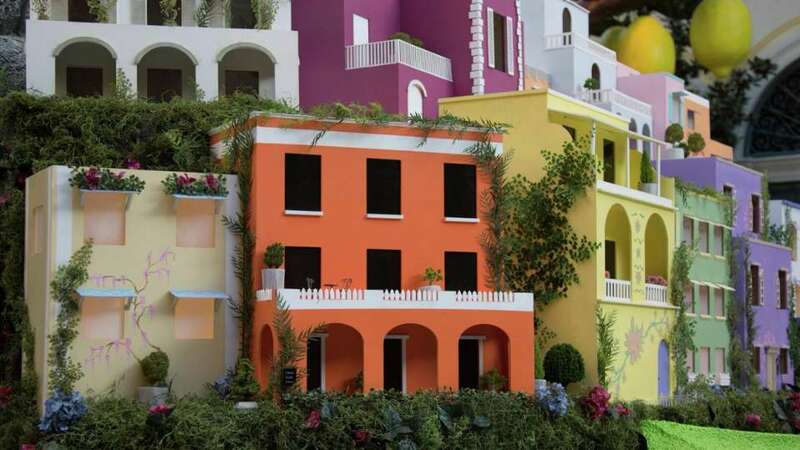 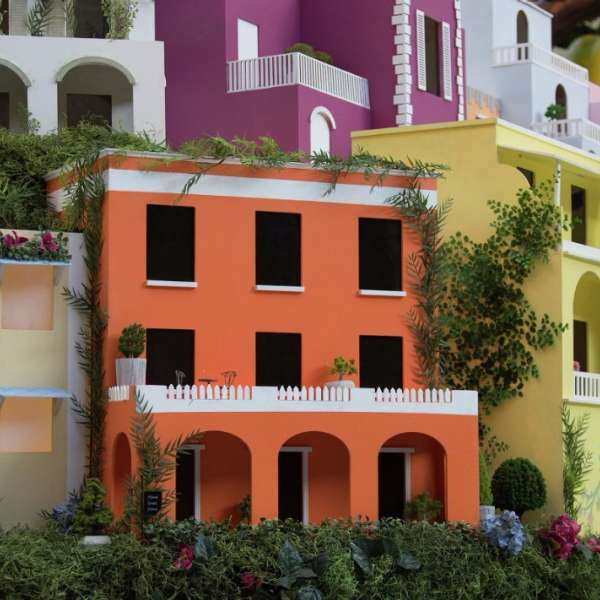 Tour of Italy Houses on a Mountain inside Bellagio Conservatory. 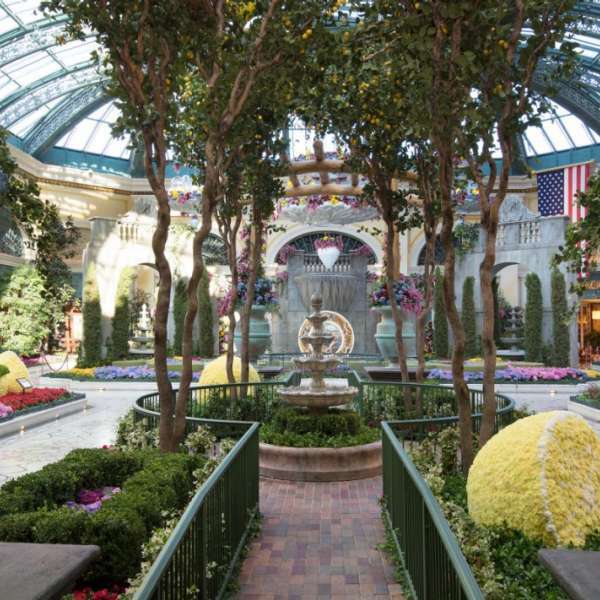 When facing the Front Desk, the Conservatory is located directly to your right. 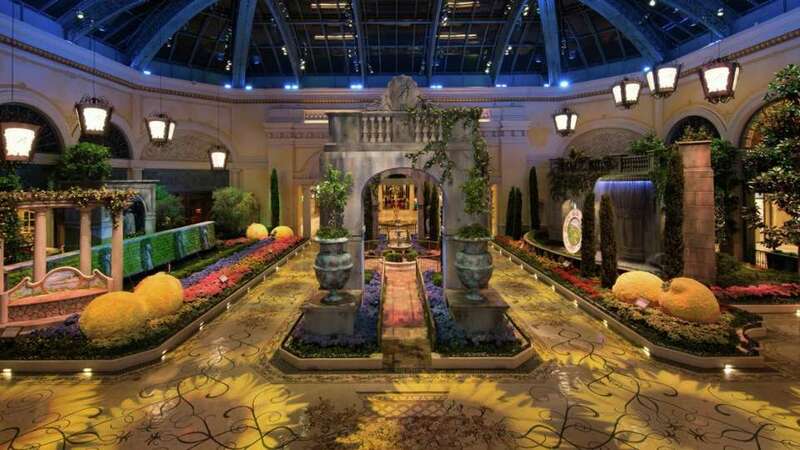 Follow the pathway into the casino, as you approach Lily Bar & Lounge, take a left. 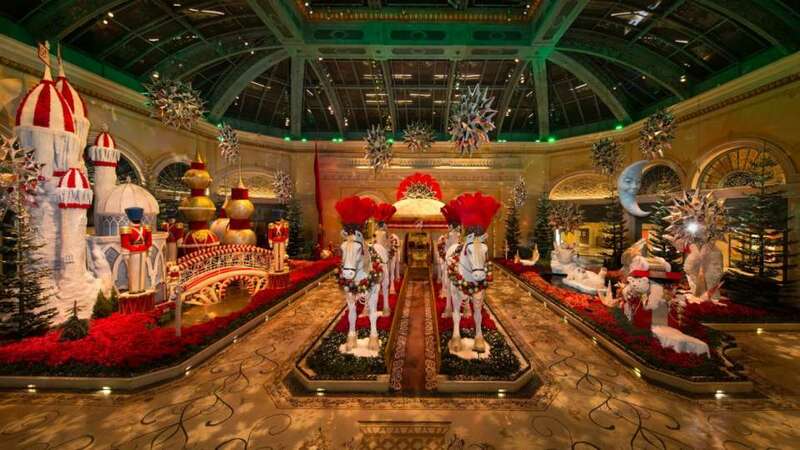 Continue through the casino until you enter the hotel lobby. 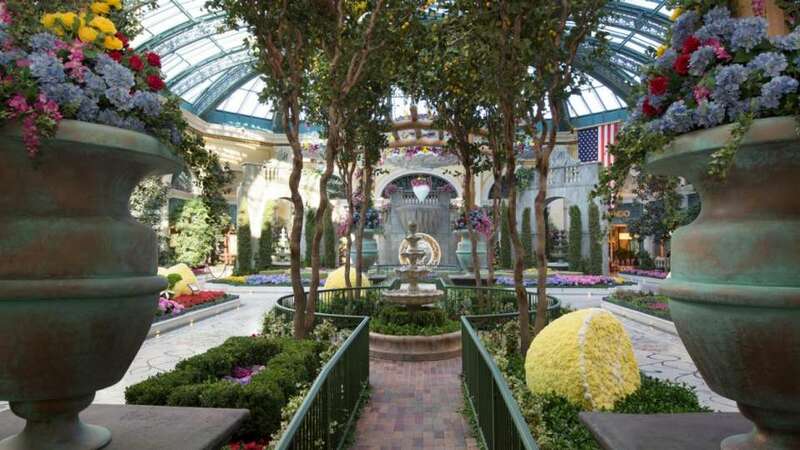 The conservatory will be on your right.